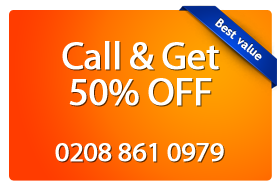 Magic Carpet Cleaning provides high quality services in Highbury for seven years now. Our cleaners are well trained and certified. They are equipped with the latest cleaning equipment, provided by industry leaders, like Prochem and Karcher. The eco-friendly they use are safe for people with lung diseases, children and pets. For more information, call on 0208 861 0979. Our customer support assistants are 24/7 available. Highbury (N5) is to the north of London and has many popular schools and hospitals. The homes and offices are decorated with carpets and designer sofas which require a lot of maintenance and delicate handling. Magic Carpet Cleaning provides the complete solution for all the activities related to carpet cleaning and uses chemicals and other cleaning agents to remove stains. We provide upholstery cleaning for costly carpets where the fibers used are very sensitive and any mishandling of chemicals can cause permanent damage to the quality. Our technicians also deal with pet stains and normal spills on the carpets and remove them by steam cleaning and water claw methods. The residents of are going to draw benefits from Magic London Carpet Cleaning which has a reputation of being in business for over thirty years and employs people who are trained in carpet cleaning from reputed institutes. Our phone number is 0208 861 0979. Our customer support assistants are 24/7 available and ready to help you. On request you will receive a completely free,no obligation price quote. Or simply fill the on-line booking form and we will get in touch with you in no time.